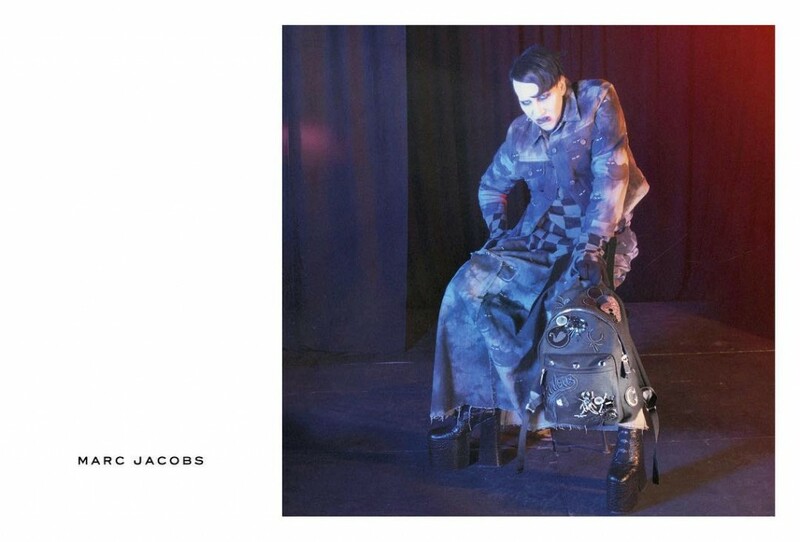 Cara Delevigne, Courtney Love & Marilyn Manson are the latest models to be unveiled to be the face of the latest Marc Jacobs campaign. The American designer who has been drip-feeding us all glimpses of the campaign on social media The series of portraits features a cast including rapper Missy Elliott, musician St Vincent and actress Sissy Spacek, all of whom were captured by photographer David Sims. 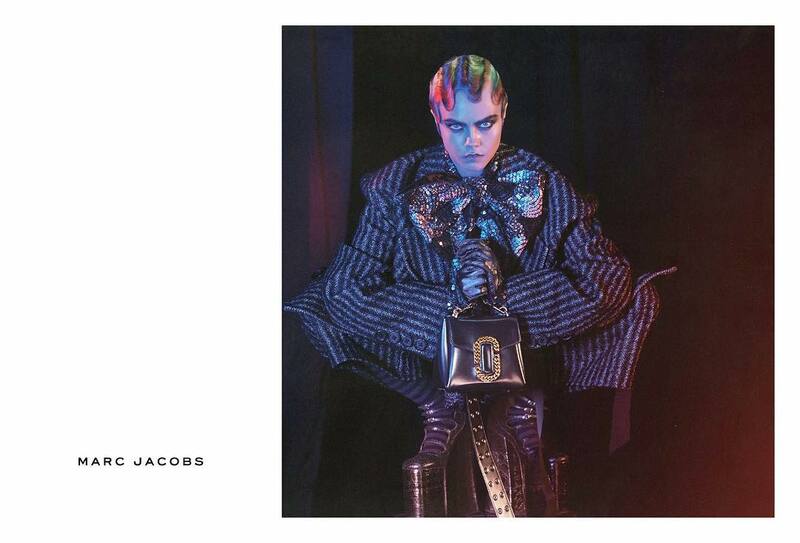 The shoot sees supermodel Delevingne cast in the role of “Womanchild”, sporting dramatic make-up, slicked-down finger waves and a jacket embellished with a voluminous bow. “Every once in a blue moon I am fortunate enough to meet a model with a personality so huge it almost overshadows even the strongest of looks — the most dramatic fashion,” the designer explains in the accompanying caption to the image, posted on the brand’s official Instagram account. He goes on to highlight the British supermodel’s “boundless energy”, “generosity”, and “professionalism”. This entry was posted in Ad Campaigns, Beauty & Grooming, New York and tagged autumn winter 2016, aw16, campaign, cara delevigne, courtney love, marc jacobs, marilyn manson. Bookmark the permalink. ← DISNEY x COACH LAUNCHES WORLDWIDE!